We need to move away from our throwaway society. Plastic is one of the longest lived materials we have invented and we use it for single use items like drink bottles and packaging. Converting plastic back to diesel fuel is one possible solution for the short term, and makes sense in areas where the cost of shipping recyclables to an industrial center is too high. We wanted to see if it was economically feasible to mount a converter on a barge and move it from island to island processing plastic and other trash back into fuel. To date we have surveyed 19 islands and met with the government officials in charge of solid waste management on 12 of them. – The vast majority of plastic entering the ocean in the Caribbean originates as litter discarded inappropriately and is washed or is blown into the ocean. 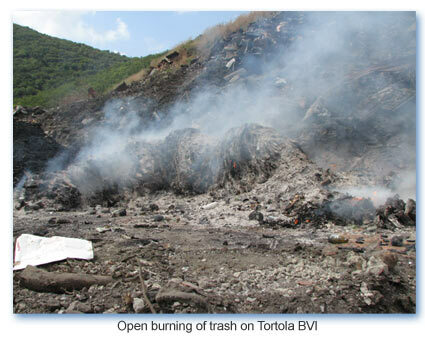 – While all the islands are beginning to recognize the issue waste management there are huge differences in practices from open burning and uncontrolled dumps to sanitary landfills that would meet US Standards. – Recycling efforts have generally been unsuccessful due to lack of public participation, and the cost of shipping materials to markets. – Most islands do not have budget allocations for waste management that will allow for capital expense of waste to energy systems so any system needs to be supported by third party financing and run as a turnkey operation. The project is in progress so more updates will be coming.